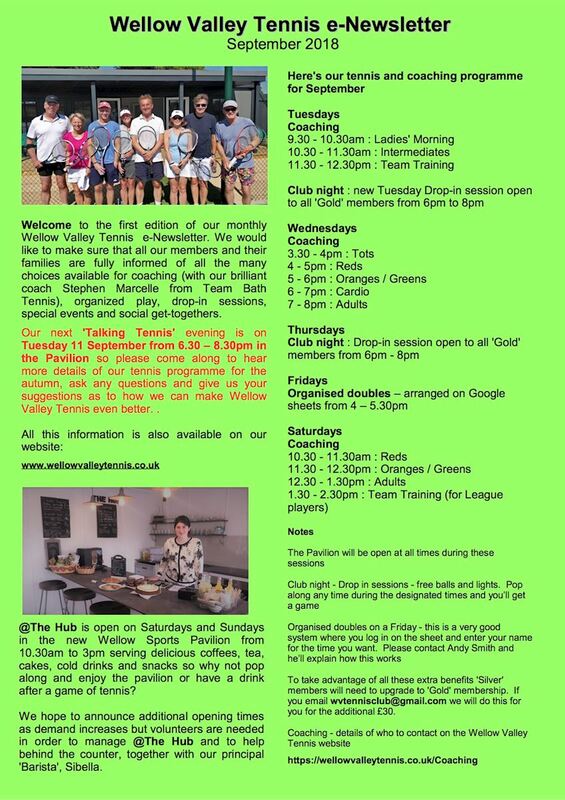 Talking Tennis - Tuesday 11th September WVT would like to welcome you to come along any time between 6.30 and 8.30 to chat about how you can benefit from the tennis activities at the club. The programme set out in the newsletter has so much going on but we are flexible and want to make it work catering for everyone’s needs. Stephen Marcelle our coach will be with us from about 7.15 so he can explain how his and the university tried and tested coaching programme works. In our tennis survey in June it was clear a high number of people wanted to join in some form of organised tennis. By coming along on Tuesday night players will get the opportunity to chat about what might work for them over a drink in a nice environment in the Pavilion. We really hope you can make it, even if it’s just for a short while.